It’s Valentine’s Day, and that’s all about romance. But nothing can ruin a romantic mood faster than bad breath and yellow teeth, especially if you are about to lean in and get up close for a kiss. 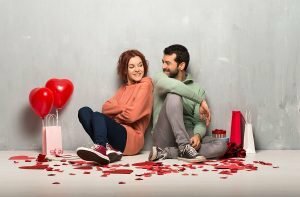 This is why, for this Valentine’s Day, the Ria Family Dental is here to give you some concrete advice as to how you can have worry-free breath for Valentine’s Day. If you want to be sure you never get caught with embarrassing bad breath and horrible yellow teeth, read the following tips on how to keep your breath smelling fresh and kiss-ready, every day. Having yellow teeth is a major turn off during a Valentine’s date. With that, Ria Family Dental is here to help you. We offer teeth whitening treatments that will help you achieve that sparkly smile you’ve always wanted. Brush your teeth and your tongue twice daily. Bacteria can accumulate on your teeth and tongue; so don’t forget to brush your tongue, especially the back of it. One study revealed that brushing the tongue decreased bad breath by 70%. Get regular checkups. Cavities can cause bad breath, so it is essential to go to your dental appointments. Avoid food that causes bad breath. Some kinds of food are known to cause bad breath, such as coffee, garlic, and onions. Acidic food can create bad breath by altering the PH balance of the mouth, causing bacteria to multiply faster. Floss daily. This helps remove small particles of food that can get stuck between teeth and lead to odour. Cut down on sugar. Sugar is the fuel bacteria love to feed on, and when they feed, that is when you get bad breath. Reduce the consumption of sugary drinks and foods, and fewer bacteria will grow in your mouth, and your breath will smell better. Drink plenty of water. Water helps control the bacteria in your mouth. To keep your mouth and body functioning at their best and keep your breath fresher, you should drink 48 ounces of water each day. And don’t substitute bottled beverages that are often preserved using citric acid, which contributes to bad breath and wears away tooth enamel. So, there you go, some great general advice to keep your breath fresh on Valentine’s Day. But, what if you have a romantic evening set up with your loved one? You can’t wait for good habits to make your breath fresh. Instead, you need specific strategies for the night. Ria Family Dental is here to help. Here are some particular things you can do to make sure your breath is as clean as the evening breeze for your Valentine’s Day dinner. Brush your teeth and tongue before going out. Floss twice – once in the morning and once before your date. This removes any food that might be stuck between your teeth. Kill all existing germs in your mouth with a mouth rinse. Eat dairy-based food such as yogurt for breakfast – it replenishes good bacteria in your stomach. Order foods that won’t impart a bad odour to your breath; stay away from garlic, onions, and very spicy dishes. Drink water alongside other beverages during dinner. If you left your breath mints in the car, chew on your garnish. The herbs on your dinner plate can help to neutralise bad breath caused by sulphides emitted by bacteria in dental plaque. Instead of that last cup of coffee, sip lemon tea. Lemons are great at neutralising bad breath! Bring a flosser or pick up some toothpicks and when you’re done with dinner head to the bathroom to make sure there’s nothing between your teeth after you eat. When your teeth are clean, rinse your mouth with water, and you’re ready to go!. Avoid stomach distress to reduce bad breath, particularly if you suffer from acid reflux. Chew gum with xylitol to banish bad breath after dinner & dessert. If you practice the excellent dental habits we led off with, then follow our date-night strategies, you can have a Valentine’s Day free of the threat of bad breath! Join The Ria Family Dental! 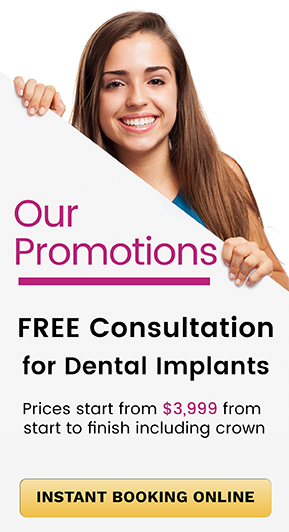 At Ria Family Dental in Yeronga, we provide comprehensive, caring treatment addressing both your short and long-term dental care needs. We provide an honest, judgment-free environment in which we practice comfortable, convenient, and conservative care that maximises your smile and oral health! We are located at 1/451B Fairfield Rd, with Yeronga station, and bus stops nearby, as well as convenient storefront parking. For the convenience of our patients, we offer early evening hours on most weeknights.